Ulysse Nardin launched new Diver Chronometer collection watches at the Monaco Yacht Show. The new Diver Chronometer redefines functional elegance with its audacious design. A diving watch crafted to withstand up to three hundred meters of potentially deadly water pressure, its inverted, concave bezel with domed sapphire glass is a breakthrough in exquisite watchmaking. The face heralds the mechanical marvel of the UN-118 movement with its silicium technology - a specialty of the Manufacture - within its 44 mm case, visible through the open back. Superluminova on the indexes and hands makes the hours and minutes visible not only in the dark of night but also at great depths. 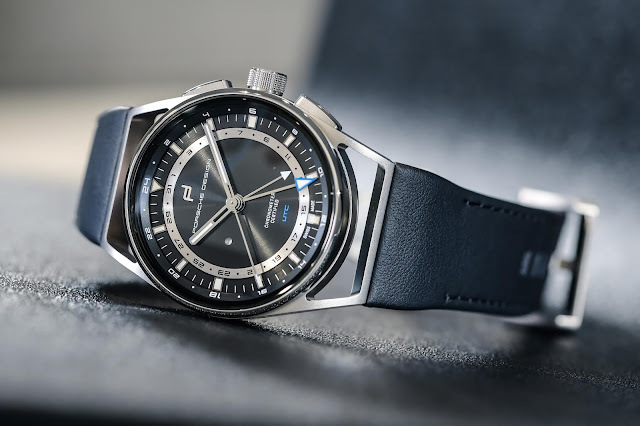 The face is adorned with a power reserve indicator at 12 o’clock and a date and small seconds at 6 o’clock, all nestled within the unidirectional rotating bezel. The numbers on the face have been redrawn to read 0-15-30-45. Even the rubber and titanium strap of the Diver has been cleverly reworked with the clasp replaced by a pin buckle and streamlined with just one easily identifiable Ulysse Nardin signature “element”. Sturdy, blue rubber guards protect the crown. In addition to the deep blue and all-black versions, the new Diver Chronometer line includes the Diver Great White and a Monaco Limited Edition. 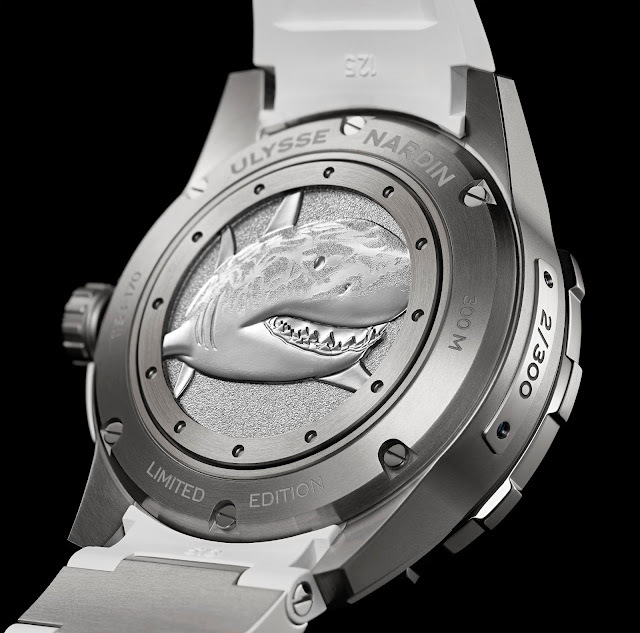 The Diver Great White, with a great white shark stamped on the case back, is emblematic of the Ulysse Nardin philosophy. King of the oceans, the shark represents stealth, strength and strategy and the Diver Great White embodies these qualities in contemporary adventurers of the land and sea. 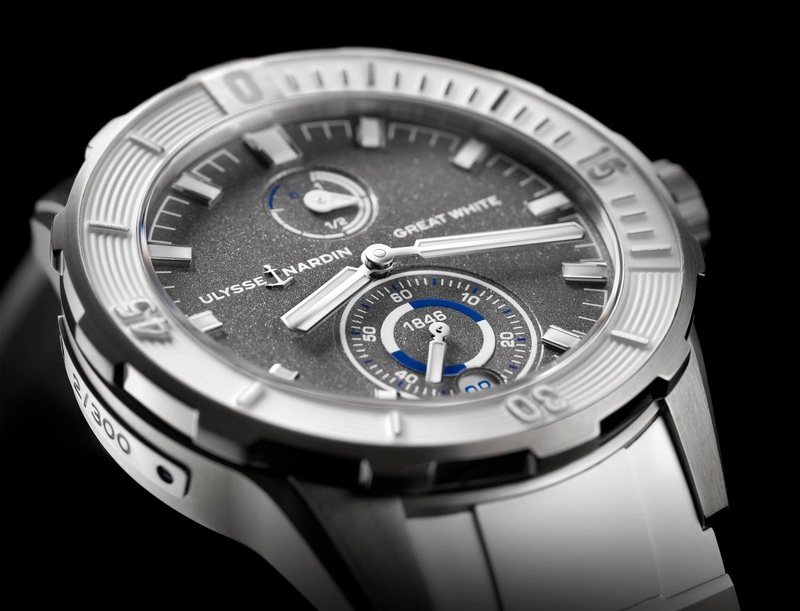 The Diver Great White is a limited edition of 300 pieces.